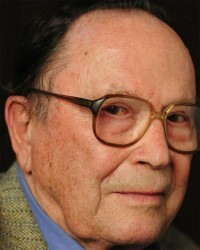 It was with great sadness that we learned of Richard Wilbur’s death, at the age of 96, on Saturday 14th October. Waywiser’s association with Mr Wilbur began when he agreed to be featured in our Between The Lines series of book-length interviews with contemporary poets, the resulting volume, Richard Wilbur in Conversation with Peter Dale, being published in the summer of 2000. After that, we were honoured to become his principal UK publisher, bringing out paperback editions of Mayflies in 2004, Collected Poems: 1943 – 2004 in 2005, and his last collection, Anterooms, in 2011. As one of the finest American poets of his generation, a superb essayist, and a truly delightful man, he will be greatly missed. Our condolences go to Mr Wilbur’s family and his many friends. — Publication of Hilary S. Jacqmin’s Missing Persons. The Oxford English Dictionary‘s Online Word of the Day for September 8th 2016 is Waywiser .